You asked for it and you shall receive! Jordan Liberty is back at The Powder Group next month with a very special, one-day, hands-on workshop - Makeup for Photography. Makeup artist and photographer Jordan Liberty (BIO) will take our attendees through the process of designing, executing and photographing beauty makeup and then attendees will have the chance to participate in a hands on workshop and have their work shot by Jordan! Our morning session will take attendees will learn the considerations for application and design, texture choices, lighting and background when creating beautiful makeup for photography. In the afternoon, full-day participants will participate in a hands-on makeup workshop and photoshoot and will later receive a retouched image of their work. Attendees will work on each other as models or may bring a model to the workshop portion. You can participate in just the morning session, or the full-day program. No matter what area of the industry you are working in – bridal, celebrity, editorial, advertising or any work that gets photographed – this unique program will give you the must know, and the must don’t, techniques and know how that you need to produce your most amazing work. Jordan Liberty is an LA-based makeup artist, photographer, educator and creative director. He is experienced in makeup for TV, runway and editorial, but his iconic beauty and campaign work and has made him a sought-after name within the industry. 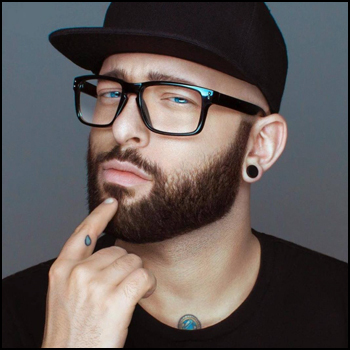 Most known publicly for his YouTube channel, he approaches education and social media from a professional perspective (with a total social media following of 600k+ and a total reach of 40m+). Liberty and his work have recently been featured in Allure, Glamour, On Makeup, LADYGUNN, and Make-Up Artist Magazine; and online on Bustle, Stylecaster, Beautylish and W Magazine as well as on Amazon's Style Code Live. In 2015 he received a coveted "Best of Beauty" award from Allure magazine, and was named "Artist of the Year" in 2017 by The Makeup Show. Recent clients include Urban Decay, Anastasia Beverly Hills, Dose of Colors, NYX Cosmetics, Sephora, BITE Beauty, Unilever and Clinique. Respectively, Benefit Cosmetics / LVMH, Stilazzi, Radford and Wantable are Liberty's recent notable clients as a beauty photographer. Praised for his professional workshops and stage demonstrations at industry trade shows IMATS and The Makeup Show, Liberty will continue educating in 2018 throughout North America and Asia.